Brew England combines the best of two worlds - New England craft beer and the iconic sites of the region. This escorted tour is meant to give the traveler the feeling of being a local. 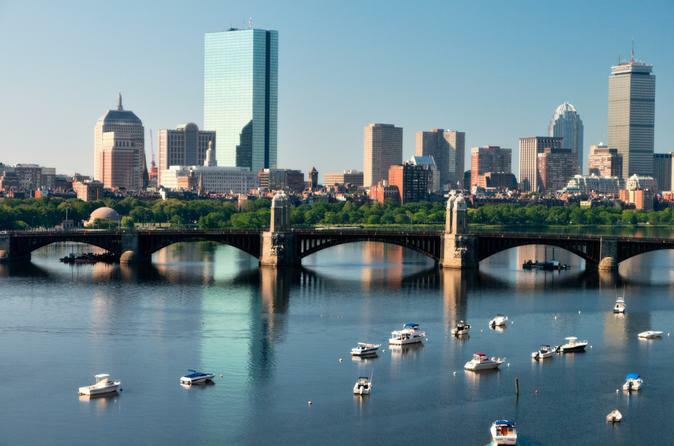 The 7-day itinerary begins in Boston with an orientation of the historic sites. In the afternoon we travel up the coast and take in our first samples of craft beer. From Boston to New Hampshire, Maine and Vermont we will meet the brewers who are passionate about their craft, and we will get behind the scenes to learn their secrets to successful brews. Iconic attractions including a lobster cruise in Maine, an exhilarating railway ride to the summit of the tallest peak on the eastern seaboard located in New Hampshire, the historic Trapp Family Lodge in Stowe and so much more. Travelers are encouraged to actively participate in this excursion. DAY 1: We’ll be given an introduction to our 7-day exploration of New England. From the historic streets of Boston, to the breathtaking beauty of Maine’s rocky coastline and the awe-inspiring mountains of New Hampshire and Vermont, we’ll taste the holy grail of craft beer in each region. DAY 2: This morning we’ll take an orientation tour of Boston’s historic Freedom Trail, architecturally significant Back Bay, and bustling waterfront. In the afternoon we head north to Portsmouth, a port city with cobble stoned streets, a down-town filled with charming shops and restaurants, significant examples of Colonial, Georgian, and Federal style houses, and brewers who continue New England’s rich beer-making history. After a tour and tastings we’ll continue along the coast to Ogunquit, a popular beach resort whose name means “beautiful place by the sea”. Optional offered: Inventive dinner and beer pairing. DAY 3: This afternoon we’ll travel to Portland, ranked #1 craft beer city in the world by Matador Net-work. With a population of 200,000, this old port city with a young vibe is home to 19 craft brewing companies and an additional 15 craft brew pubs. We’ll tour several that interpret historic styles with unique twists or you can take advantage of Optional Package 2A - Lobster Cruise & Cooking Class. DAY 4: This morning we’ll travel through the lakes region and into the White Mountains of New Hampshire. Spend time in North Conway for shopping at its famous tax-free outlets or take advantage of Optional Package 2B - Cog Railway and Horseback Ride. DAY 5: Today we drive along the Kancamagus High-way, a 55 km long two-lane road, considered one of the most scenic drives in the region. It has been designated a National Scenic Byway by the US Department of Transportation.Cross over the border into Vermont, regularly ranked near the top of the list as having the most number of breweries per capita in the country. We taste our way to Stowe, a charming resort town at the base of Mt. Mansfield. Optional beer pairing dinner offered. DAY 6: One can use the amenities of the resort this morning or choose an optional.This afternoon we’ll follow Vermont’s IPA High-way to some of the state’s most sought-after breweries renown for their India Pale Ale (IPA) and in between there’s lots of scenery and quintessential New England places to stop. Options offered: Cooking with Vermont Beer or Guided Horseback Ride. DAY 7: We’ll make a short stop in Woodstock, named “the prettiest small town in America” by Yankee Magazine, while en route to Boston.Upon arrival, we’ll visit the Grand-daddy of the craft brew movement in America—the Boston Beer Co, makers of Sam Adams. While some may argue it’s no longer a craft brewery, the tour and tastings of some of their more unique brews are worth the visit.